There are times when you need to open the plastic window on the outside. For example, the keys were left in the apartment or you have closed inside the child, and to call FEMA is not possible. Then to take an ordinary screwdriver or even better - thin metal ruler or plate. If at hand was a screwdriver, it is necessary to press the sash window in the place where the latch is and then push on the fittings to open the sash. With a ruler or plate is a little different scheme. Necessary to insert it between the frame and the glazing, to reach for the latch to hook it and pull down. As the plastic is quite flexible, it will not be difficult. A window should open. But all of these methods are viable if the window should not handle with lock. Then open the window from the outside are unlikely to succeed on their own. But the thieves-professionals to cope with this task well. Therefore, in order to protect your home, standard hardware is better to order and install burglar alarm, which can protect your premises from intrusion of thieves and robbers. If the hacking is done by professionals, they will be able to penetrate easily into the house by opening a protective function in the hardware with the standard equipment without leaving signs. Therefore, many manufacturers of plastic Windows has developed additional protection. This is especially true for those who live on the first and last floors. As protection they put in a mechanism that is called the "mushroom pin". "Mushroom the journal" is a metal plate, which can withstand the load on the gap up to 1.5 tons. There are also other methods to protect the Windows against penetration from the outside, which in combination with the "axles" will make the window practically invulnerable. When you leave the house, do not leave the sash open. In this case, all the burglar bells and whistles will be useless. Leaving the house, you can put the so-called "ventilation slot". Outside the window looks closed, but to open it even in the open state will not give again, "axle", bonded with anti-burglary hooks. And the window fresh air comes. If in the apartment there are children, take care of the handles. Otherwise, you can be on the balcony with a closed window. The handle can be locked with a removable key or the handle can be removable, which is inserted into the hole of the socket. It will protect you from closing from the inside. Setting window, first think of protecting your apartment, not that, maybe someday you will forget the keys or you will close on the balcony child. Try not to forget keys, and the window put maximum protection. 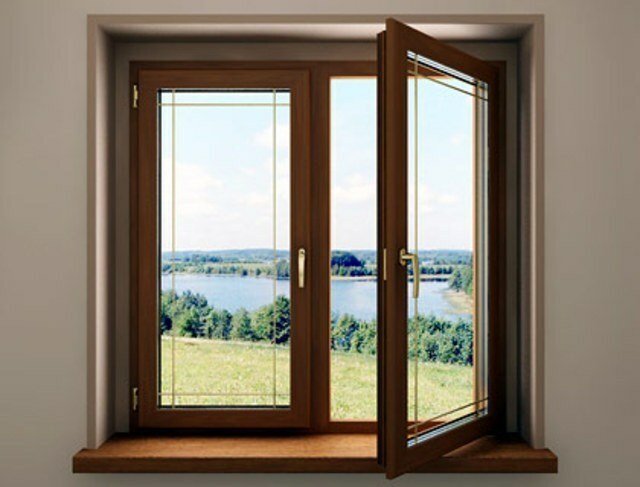 It is better to think in advance and not after the installation of plastic Windows.